The story of Emily and her great-grandmother and the revelation that Emily and her great-grandmother are spiritually connected. EMILY’S HOPE by Ellen Gable is the gripping story of one young woman’s physical, emotional, spiritual journey from high school to adulthood. 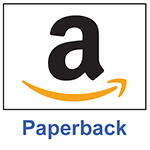 Interspersed throughout the story are flashbacks to Emily’s great-grandmother’s troubled life, with a climax culminating in the surprising revelation that Emily and her great-grandmother are connected more deeply than by ancestral ties alone. Based on a true story. 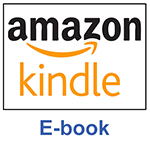 This is a unique novel in which young people can learn about the Church’s teachings on marriage and family within the context of the story. Its blend of candid storytelling and solid Church teaching makes it a perfect study tool in the Catholic high school or youth group setting. 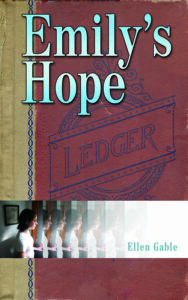 EMILY’S HOPE won Honorable Mention in Religious Fiction in the 2006 Independent Publisher Book Awards and was awarded the Catholic Writers Guild Seal of Approval in 2009. The pain in her abdomen became more excruciating with every passing moment. She sat on the sofa and dialed the number of the high school. It seemed like an eternity for the line to connect. One, two rings. Please, someone pick up, she silently begged. Hearing the secretary’s voice, Emily could barely speak, but she uttered enough to make it clear that she needed her husband. She dropped the phone and tried to take a deep breath. Feeling an overwhelming need to vomit, she rushed to the bathroom just in time to spill the contents of her stomach. She gripped the cold, hard toilet, as if in some way, it would make her pain bearable. Disoriented, she thought of her baby and quickly glanced over at his smiling, inquisitive face, oblivious of his mother’s pain. I’ve got to stay conscious for my baby, she repeated over and over in her mind. She moved back to the floor next to the sofa, trying to sit upright with her young child next to her, while drifting in and out of consciousness. Keeping a death grip on him, she woke up as the paramedics were prying her hands off her son and placing her on a stretcher. It all seemed like a dream. She overheard the paramedics talking about what a “little thing she was.” Too weak to make a sound, she wondered where her young son was. She caught a glimpse of her husband holding him at the back doors of the ambulance. His right arm cradled their son’s little body but his left hand clasped his small head to his chest as if to shield and protect him from the turmoil that surrounded them both. But her husband’s face … his face was so broken and distraught that Emily felt the anguish of a wife and mother abandoning her family. Tears welled up in her eyes and for a moment, Emily forgot her pain. Then his eyes caught hers, and he realized that she was watching him. Everything changed. His chin lifted, as if for courage, and penetrated her being with a look of tenderness and confidence. Whatever happens, I will be strong for you and for the sons we both love and for God, who has asked so much of you. He seemed to say all of this with his eyes, all of this and more. As his love and reassurance reached out to her through the shouts of the paramedics and their frantic procedures, the beeping of machines and the overwhelming wail of the siren, its light already flashing, her terror began to fade and her heart surged within her. Now reassured, she allowed herself to fall back asleep.